The U.S. Senate has finally released a new and improved draft of S.510, the FDA Food Safety Modernization Act, including many new changes to ensure that small farmers and food businesses aren’t plowed under by onerous and unnecessary regulations. But, according to Roland McReynolds, executive director of Carolina Farm Stewardship Association, one giant task remains: getting a key amendment added to the bill. (2) industrial-sized safety plans on small food businesses. NC Senator Kay Hagan has endorsed the Tester amendment and NC Senator Richard Burr is a co-sponsor of S.510, and has worked to improve it to protect small farms and businesses. If you care about the future of sustainable agriculture, please contact them today to thank them and tell them that the Tester amendment is essential to protect sustainable farms and food enterprises. Also contact SC Senators Lindsay Graham and Jim DeMint, and ask them to put the Tester/Hagan language in the bill before it goes to the full Senate for a vote. The links below have contact info for each Senators’ offices, both in DC and in their local offices in the Carolinas, as well as link to the current text of the bill. 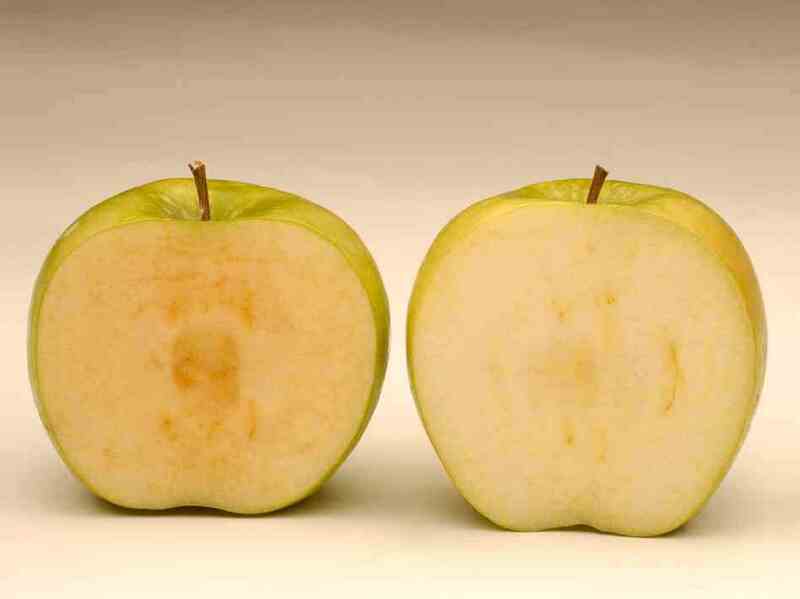 Congress could act soon on S510, the Food Safety Modernization Act. If it passes without reforms to address the needs of small-scale farming and food processing, it could kill sustainable agriculture. Now is the time to call your Senators and ask them to add important changes to the bill. Require FDA to write new, flexible rules for small businesses. Small food producers are already subject to state and federal rules. S 510’s on-farm and HARPC rules should not be applied to these small businesses. Support the Sanders and Tester amendments. Establish USDA training programs for small farms and food entrepreneurs. The Senate should include S 2758, the Growing Safe Food Act, in S 510, and fund programs to get critical food safety information into the hands of small food producers. This is the best way to ensure the safety of local food. Eliminate pointless traceability rules for farmer-marketed products. Farm-identity preserved products should be exempt from bar-coding or other schemes meant for tracking products through the “Food Inc.” supply chain. Focus on real animal risks, not wildlife and farm dogs. FDA should use proven science to identify animal sources of pathogens and appropriate controls, instead of the current approach of treating all animals on farms as a food safety threat. Congress is debating legislation that would give the Food and Drug Administration (FDA) wide-ranging new authority over farming practices and food production. In its current form, the bill’s requirements would be impossible for many small-scale farmers and food processors to fulfill. The House has already passed a bill, HR 2749, and in April the Senate will take up its version, S 510, which is co-sponsored by NC Sen. Richard Burr. With or without a new law, FDA is moving forward with rules on produce safety on the farm, and already has authority to require food producers to register with the federal government. Unfortunately, the FDA’s initiatives treat small farms, organic agriculture and local food businesses as if they are giant corporate food processing companies, an approach that will crush the community food movement that so many of us hold dear. As documented in films like. Food Inc., large corporations dominate our food supply, and there is little doubt that industrial supply chains need to be cleaned up. Pathogen contamination in food has been making regular headlines for four years now, beginning with the 2006 E. coli O157:H7 outbreak in California spinach, and right up to today. These incidents have made a substantial impact on agribusiness. Sales of California spinach have yet to recover to their 2005 levels. Seeking to win back trust, large food processors and retailers have allied with consumer groups and FDA to promote a framework for pathogen control that relies heavily on paperwork, inspections, and limited knowledge about where pathogens come from in the first place. That approach is embodied in S 510. Sustainable ag advocates have been working behind the scenes to win protections for local food systems in S510, and there have been improvements. For instance, the latest version of the bill (scroll down to p. 140), requires FDA to make sure that on-farm food safety rules are consistent with organic farming practices and soil and water conservation programs. Fundamentally, though, the bill still puts local, sustainable food systems in a straight jacket: While some existing farmers and businesses could survive the S510 regime, it would effectively prevent them from expanding, and it would block new farmers and entrepreneurs from getting in the business to begin with. The way to bring true food security and economic vitality to all of us who eat is to allow the sustainable farming movement to grow beyond farmers markets and direct sales. This bill doesn’t give them a chance. Federal and state programs have been working for a decade to spur small farms to get into value-added agricultural enterprises, for the good of those farms and for regional economic development. The result has been growth of small farms and small businesses that now count as “food facilities” under existing law, and so would be subject to S510’s one-size-fits-all regulations. These are businesses that are growing to meet wholesale demand and so moving outside the narrow direct marketing exemptions that FDA and consumer groups site when they claim that the bill won’t hurt local foods. That’s why small farmers and the customers who support them want to see this bill improved. Please see Carolina Farm Stewardship Association’s action alert on S510 and the key changes that need to be made to protect small farms and businesses. Check in with us to stay tuned on what you can do, or join our e-News list (scroll down to lower left), and help make food safety safe for healthy food. — Roland McReynolds is Executive Director of the Carolina Farm Stewardship Association, and serves on the North Carolina Sustainable Local Food Advisory Council. There is a new CFSA-powered iPhone app that helps foodies find sustainable farms in the Carolinas, check it out here. — Nicholas Kristof, The Spread of Superbugs, NY Times, March 7, 2010. 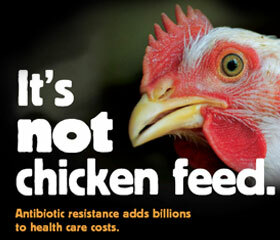 Antibiotic resistance threatens our health and is escalating healthcare costs. Learn more here. “[Medical scientists] say that heavy reliance on antibiotics, especially in the mass production of farm animals, could result in those drugs losing their potency to combat infections among people. “The Associated Press quoted Duke University’s Dr. Vance Fowler, an infectious disease specialist, on the threat from antibiotics overuse: ‘This is a living, breeathing problem; it’s the big bad wolf, and it’s knocking at our door.’ Precautions it seems, are much in order…. “Yet widespread use of the medicines has given rise to drug-resistant bacteria strains as the organisms adapt to their environment. Agricultural use accounts for 70 percent of the country’s antibiotic consumption, and drug-resistant germs that have evolved in response to the prevalence of antibiotics in all settings were blamed in 2008 for 65,000 deaths…. “Perhaps as the toll rises from infections that no medicine can halt, some of our food consumption habits might change for the better.